Do you dream of traveling the country with the comfort of home strapped to your back? Traveling by RV can allow you to do just that. RVing is the perfect cross between camping and staying in a hotel. You can park in a campsite in the woods—without leaving your hairdryer, kitchen and basic amenities behind. This convenience often comes at a price, however. 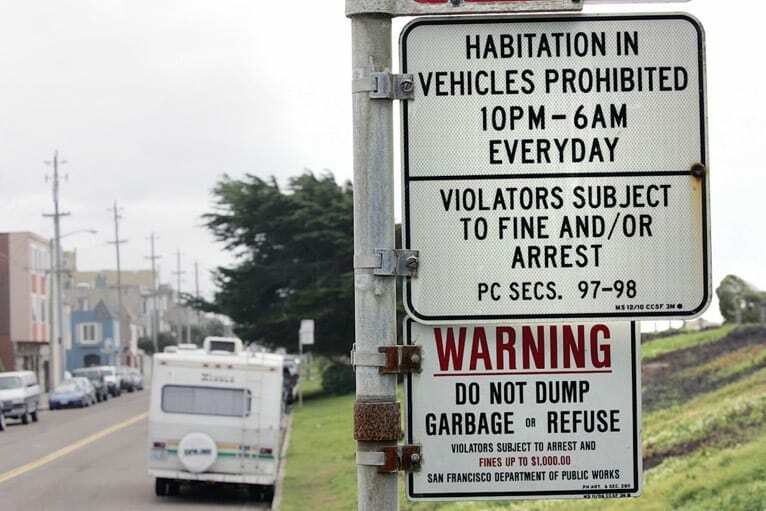 RV parks can be expensive to stay at, and gas can be quite the drain. Whether it is for vacation or part of a lifestyle, RVing can be expensive—but it doesn’t have to be. In this article, we will explore the costs associated with RVing, and discuss ways you can keep your dream of traveling the country without blowing your budget. Just how much does it cost to RV? The cost of RVing is extremely variable and depends largely on where you travel and what type of experiences you are hoping to create. Rates for a luxury resort typically start at around $70 to $100 a night. This adds up fast and can become unsustainable if you are taking a long trip or planning on living in your RV long-term. Add in food costs and gas, and you’ve got a hefty chunk of change to shell out each month—upwards of $7,000. Your expenses while RVing will fall into approximately three relative categories: living expenses such as food and toiletries, vehicle expenses such as gas and maintenance, and site expenses such as dump fees and camping costs. 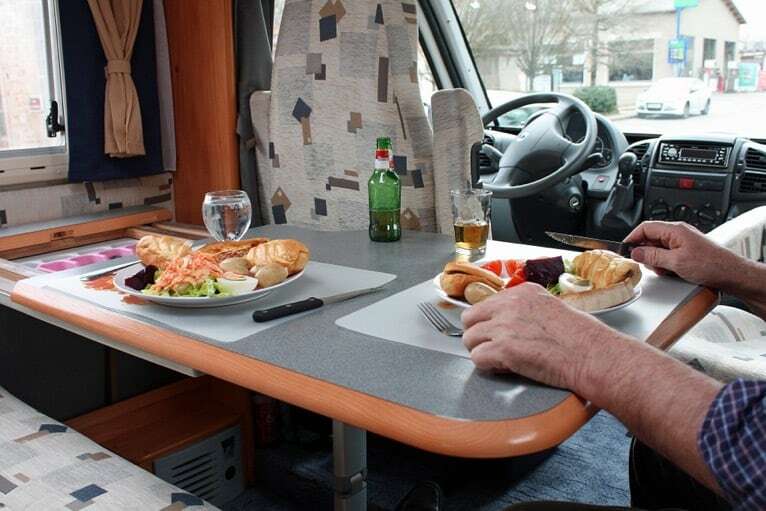 If you take actions to lower these expenses, the overall cost of RVing lowers considerably. For example, if you park for free at a dispersed camping site, stay at each site for at least a week, minimize the distance you are traveling, and cook your meals in your RV, you can expect to see your expenses drop to around $1,500 per month with the potential of going even lower. If you have money to spend and are hoping to travel the country while living in the lap of luxury, this article is not for you. If, however, you dream of getting out and see something of the world while enjoying the relative comfort of an RV without breaking the bank, then read on. You might just find some tips and tricks that will help to make your dream a reality. Where Should You Park Your RV? Where you park your RV hugely affects your budget and general experience. When making budget cuts, keep in mind the experience you are hoping to have. Though RV Parks tend to be more expensive, you may be able to make cuts elsewhere if this part of the experience is important to you. If you don’t mind living slightly off the grid, however, where you park your RV can be a great cost saver. Hoping for something slightly rustic, but still plugged in? Staying at a campground is a great choice for someone RVing on a budget, or even just for someone who is hoping to be a little closer to the great outdoors. At a campground, you can park between towering redwoods, or near the edge of the Grand Canyon, or listen to the surf crashing outside your window each night—and in most cases, still have access to full hook-ups for your RV. Not all campgrounds offer full hook-ups, however, so if this is important to you, make sure you check ahead before pulling in. You can expect to pay between $10 and $50 per night at most campgrounds. Camping Clubs: Signing up for an RV membership or camping club can be a good way to cut costs if you are planning on staying at a lot of campgrounds. These memberships offer perks to members like discounted campground prices, but they generally come with a membership fee, so you will need to weigh the costs of the fee against the discount you will be receiving. Passport America: Passport America is a camping club that offers a 50% discount at participating campgrounds—more than 1,800 campgrounds spread across the U.S., Canada, and Mexico. A membership to Passport America is $44 per year. Good Sam Club: Good Sam Club is a rewards program separate from Good Sam’s other services. They offer 10% off of camping fees at over 2,100 participating campgrounds, as well as other perks. Membership to Good Sam Club is $27 annually. Thousand Trails: Thousand Trails is a camping club that is a little different from most other clubs. With this club, you pay a larger, upfront fee and are then able to camp for free at any participating campground within the zone that you select. 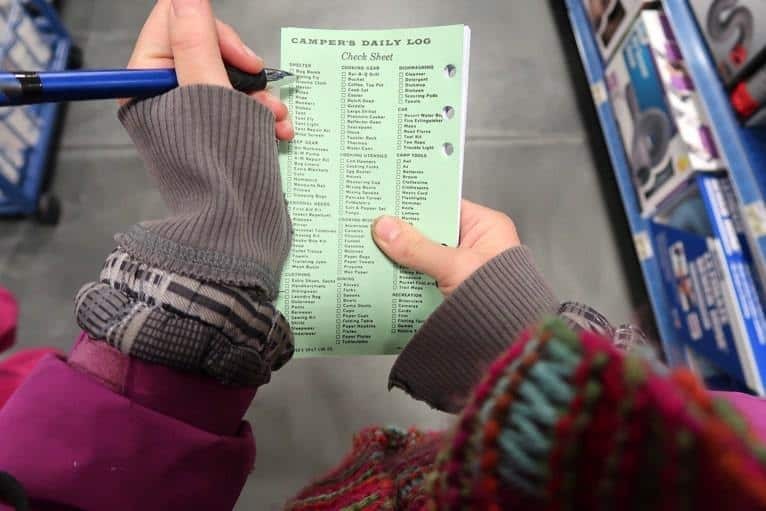 According to their website, Thousand Trails offers “81 campgrounds divided among 5 camping zones: Northwest, Southwest, Midwest, Northeast and Southeast.” A yearly membership to Thousand Trails is $565 for one zone. You can add more zones to your membership for $49 each. 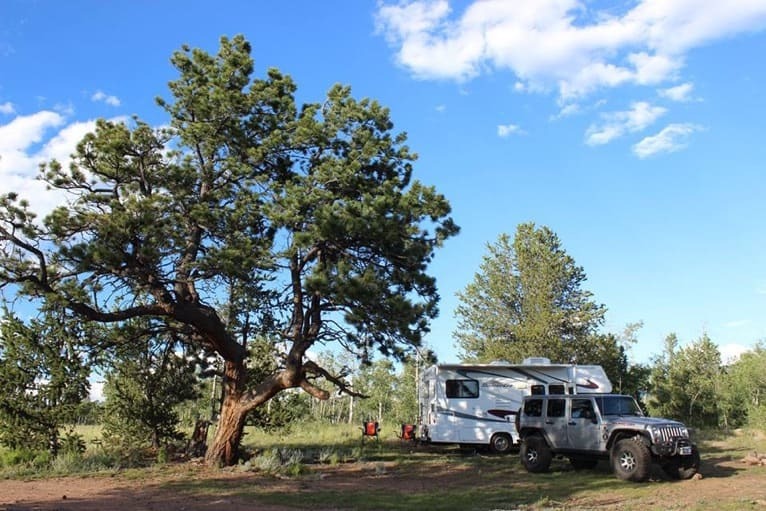 Dispersed camping is the technical term for camping outside of a campground or designated area on public lands, and is a perfect option for RVing on a budget. Dispersed camping requires a permit and can be done on BLM or Forest Service land. It is generally free, though some areas do require you to pay for a permit, generally just a few dollars a day. Since you are camping on undeveloped land, there are no hook-ups or amenities, however, dispersed camping will allow you to set-up camp well away from other travelers. Dispersed camping with an RV lets you have a backcountry experience without having to leave behind your kitchen or your bed. Dispersed camping is the true definition of “roughing it.” Bringing an RV along just lets you cheat a little. RV parks are obviously the most expensive option when you are looking for a place to park your RV. The costs of parking at an RV park vary widely, based on their amenities which can range from campground-like to full luxury resorts, complete with swimming pools and golf courses. RVers on a budget who really want the extra amenities offered by RV parks do have a few options for cutting costs. Do your research before you stop: As we mentioned above, the costs of RV parks vary widely. Perhaps the best method of staying at an RV park on the cheap is to do your research and compare prices before you pull up. A simple Google search of the area you want to stay in can work wonders by helping you find the most affordable place to stay. Make sure to write everything down on a notepad so you can compare options later. RV Memberships: Similar to camping clubs, there are many RV memberships that you can join which will give you discounts at RV parks. If your budget is really tight, there are a lot of places that you can park your RV overnight for free. Many truck stops allow RVs to stay overnight. You can also stay the night in the parking lot of many businesses, big box stores, and discount stores. Walmart is a popular one for this. Do make sure you ask permission first and be aware of any city ordinances that may prohibit overnight parking. In some states, you are also allowed to park for free at rest stops and roadside pull-outs. Just make sure you know the laws before you stop. Harvest Hosts: For $40 a year you can get a membership to Harvest Hosts. This RV membership allows members to park for free at participating wineries, breweries, farms and museums. Harvest Hosts is a great way to save money as well as see places you may not have stopped at. If you haven’t purchased an RV yet, keep in mind that the vehicle you choose will impact your budget. If you already have an RV, feel free to skip this section. If not, read on for a few points we think you should consider. Motorhome vs. Trailer: In general, trailers are cheaper than motorhomes. Motorhomes not only tend to be more expensive to buy but also take more gas and can require more maintenance. A good general rule to remember is the more luxuries your RV or trailer has, the more it will cost to maintain. Another benefit to trailers is that you can unhook them and leave them parked while you explore the area in your car. This gives you more mobility and cuts your gas costs considerably. Gas vs. Diesel: There are a lot of points to consider when trying to decide between a gas or diesel RV, and the price is one of them. Gas powered RVs tend to be less expensive, so they are a great choice if you are looking for a vehicle that you will be taking on short trips and not using very often. If you are planning on taking very long trips or will be RVing frequently, diesel may be cost-efficient in the long run. Though it generally costs more to fill up a tank with diesel fuel, diesel is more fuel efficient than gas. Over long distances, diesel will be much cheaper than gas. Vehicle Size: The size of motorhome or trailer you choose will also have a large impact on its fuel efficiency. Larger vehicles are heavier and take more fuel to operate. It goes without saying that gas—or diesel—will be one of your biggest expenses. After all, RVing consists largely of driving from place to place. If you are wanting to RV on a budget, then cutting costs at the pump should be one of your first strategies. There are many ways to save on gas. One of the best ways is to plan your trip wisely. Since driving is what eats fuel—and cash along with it—it makes sense that less driving equals more money saved. Taking shorter trips and staying closer to home will accomplish this. Another strategy is to stay at each location longer—at least a week per stop. This will lessen your overall driving and will also give you more time to relax and explore. Other ways to cut down on gas costs are a bit more creative. Driving with the wind during the windiest times of day, or waiting till the wind dies down if you are going to be driving against it, is one simple strategy that is surprisingly effective. If you can, avoiding uphill drives will also save gas. When it is time to head for the pump, make sure you keep your eye out for the lowest prices. Apps like GasBuddy can help you find the cheapest gas prices in your area. You have eat, of course, but what you eat can make a huge difference. Eating out is fun, but expensive. Perhaps one of the biggest perks to RVing is that you get to travel with your kitchen. Cash in on this and cook most of your meals in your RV to save big. You might have to get creative since the kitchen in your RV will, no doubt, be smaller than your kitchen at home. Some RVs lack an oven, but most come equipped with at least one stove top burner. Bring a slow cooker along with you and make use of your campsite grill, and you’ll find you have everything you need to whip up a tasty—and cost-effective—dish. If the time of year is right, local farmers markets are a great place to pick up affordable fresh produce. Eggs and beans are cheap and easy to cook and pancakes are a camping staple for breakfasts. If your budget is especially tight, cutting coupons can really help you slim down your food expenses. It may seem counterintuitive to spend money in order to save money, but having solar panels installed on your RV will do just that. Having solar panels installed on your RV isn’t for everyone. If you are planning on doing most of your camping at places with hookups, for example, having solar panels installed would be fairly useless and a waste of money. If you will be doing a lot of camping in situations where you might otherwise use a generator, however, getting solar panels can be a great investment. Upfront costs will vary, but you can expect it to be sizeable—around $5,000 for a 600 W solar installation. Returns on your investment won’t come immediately, but the savings will gradually add up. Installing solar panels won’t just save you money on electricity. The biggest cost-cutter, perhaps, is that going solar will allow you to camp in places you might not have considered otherwise. With the solar power to run your RV, you can do more dispersed camping, for example, and therefore pay less in overnight fees. Keeping up with maintenance on your RV will also help to lower costs in the long run. In this situation, an ounce of prevention truly is worth a pound of cure. Doing routine maintenance like changing your oil, get tires rotated, etc., will help to prevent breakdowns and emergency expenses like towing. A well-maintained RV is also less likely to require expensive repairs. On top of being preventative, maintaining your RV will also help it run smoother and be more fuel efficient. Some states are cheaper to live in than others. If you are interested in RVing full time and will be living on the road, one way to pare down your expenses and stay on budget is to look into changing your residency. This will affect how much you pay for things like health insurance, RV insurance, income tax and sales tax. Alaska, Nevada, Washington, Texas, South Dakota, and Florida are often cited as good states to establish as your permanent residence or domicile because they don’t have state income tax. Montana and Oregon are good choices if you will be making any large purchases (like an upgraded RV) because they don’t have sales tax. Keep in mind that changing your domicile changes more than just the taxes you will pay. It changes where you will be called for jury duty, what laws will govern you in the case of death or marriage, where and you will vote and what you will vote on, what type of medical insurance you can get—even how your mail will be forwarded. All these things should be taken into consideration if you decide to take the leap and change your legal residence. If you change your mind, you can always change your choice later, it will just require more paperwork. Living or vacationing in an RV can be as expensive or as cheap as you want it to be. RVing can be one of the most expensive ways to vacation, or it can be one of the cheapest, all depending on the choices you make. RVing on a budget isn’t hard, it just requires you to prioritize. Food, fuel, and parking are the big three when it comes to RV costs, so if you have to choose a place to make cuts or changes, these are the pieces of the puzzle you should look at first. With a little bit of time and effort, you should be able to your RV vacation or lifestyle fit within any budget. Then, free and on the open road, you’ll be able to rest easy knowing that all your expenses are taken care of.